An exclusive product designed for professional billiard ball maintenance. The essential complement to your Aramith Ball Cleaner liquid. 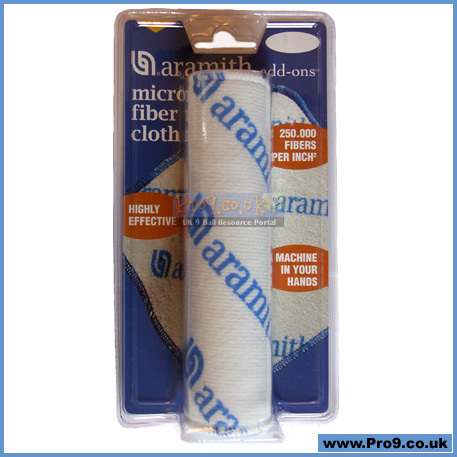 The Micro-Fibre Cloth cleans your cue and object balls in a simple wipe. Absorbency & cleaning power over 8 times greater than ordinary cloths. Durable - can be washed and re-used many times over. Apply a drop of Aramith Ball Cleaner to the ball. 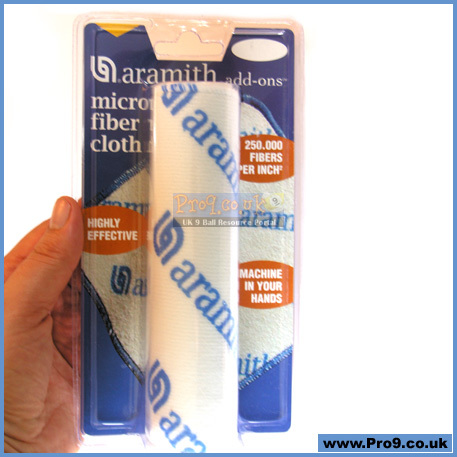 Rub with the Aramith Micro Fibre Cloth. Dry and shine with a paper napkin. 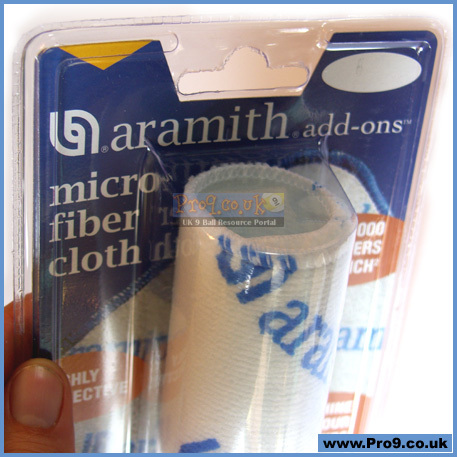 For use in combination with the Aramith Ball Cleaner and the *Aramith Ball Restorer.